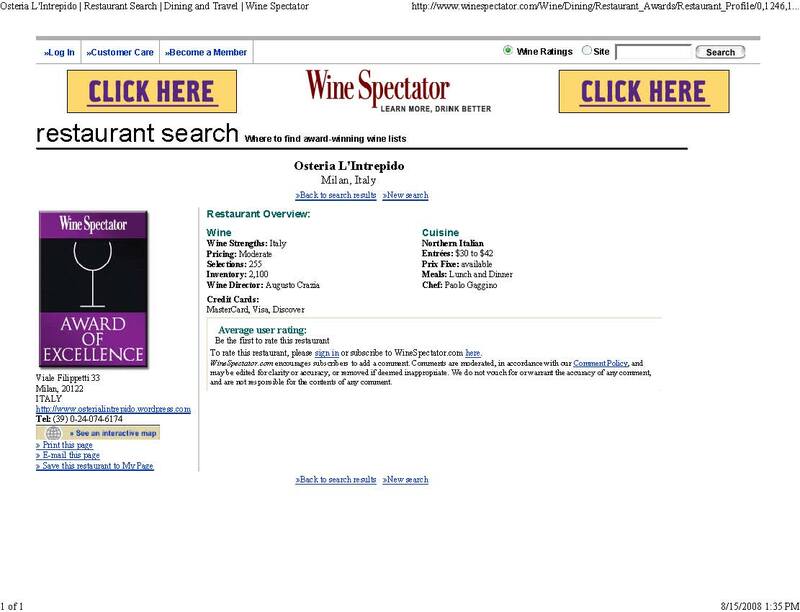 It’s been months since the most recent “official” book review on the virtual pages of 1WineDude.com. This hasn’t been due to a paucity of book samples coming my way – I’ve just sadly had little time to devote to them, because my time management skills are on par with Chad Ochocinco’s ability to stay out of the public eye. 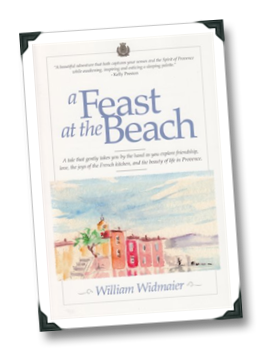 Fortunately for me – and, I think, for many of you – William Widmaier’s A Feast At The Beach hit my mailbox. It clocks in at less than 150 pages, with most chapters – vignettes of Widmaier’s late `60s childhood in Provence, centered around wine, food, and the family kitchen – short enough to be enjoyed while taking care of quick business (on the toilet… c’mon, you know you were thinking it). The book is interspersed with recipes that look simple and delicious (but I wouldn’t recommend combining them with the toilet-reading). You’ve just gotta love that. And as a wine lover, you’ve got to admire Widmaier’s take on the wines of Provence, which are prevalent throughout the book and often show that he knows of what he vinously speaks: “A huge part of the joy of wine, at least in my view, is having a sense of place that goes with the wine. Wine is more than the taste on the palate; it is place, memories, history and art. This is why with wine, taste is such a personal thing – it includes one’s romantic notions.” Bingo, dude. Personally, I’m pleased to have stumbled upon a memoir that is well-written enough to be romantically reflective without losing its edginess. 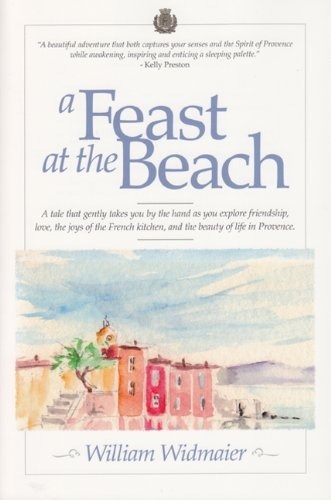 Which makes A Feast At The Beach such a rare book – it’s one that can be equally at home on your grandmother’s beach house coffee table as well as your own nightstand. $14.95-ish (cheaper at Amazon.com). I like wine (duh). I also favor, and am often drawn to, personalities that are high-energy, engaging or highly-knowledgeable about their fields of expertise. 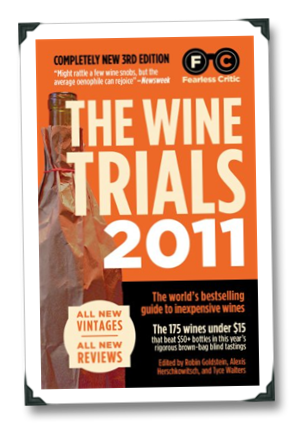 No surprise, then, that I consider Mark Oldman one of the most dynamic – and one of the best – wine educators in the world, since he’s got it going on all three fronts. Most folks out there will recognize Mark’s face as the lead judge from the PBS reality-tv series The Winemakers, or will recall his name as the guy who makes the wine picks for the 15+ million readers of Everyday with Rachael Ray magazine. 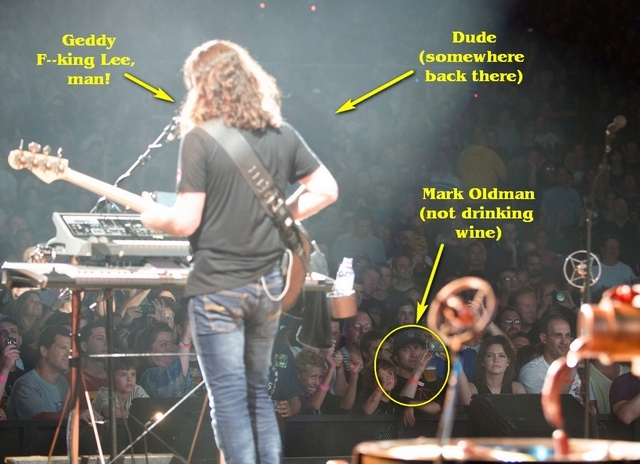 But I recognize Mark as the guy who wrote the beginner’s wine book that I’ve recommended more than any other wine publication – Oldman’s Guide To Outsmarting Wine. 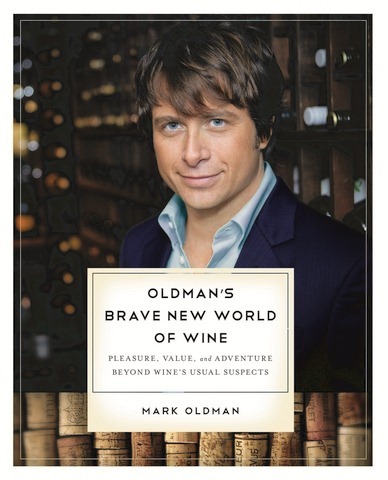 My standard line about Mark’s first book for years has been, "this is the one to try first for anyone beginning to get ‘into’ wine; it’s the book I wish I’d had at my side when I was first starting out as a wine buff." In other words, I thought it was an instance classic. Outsmarting is still largely unmatched for its combination of verve, intelligence and accessibility – a lot like Mark himself, as you’ll quickly learn from our interview below. 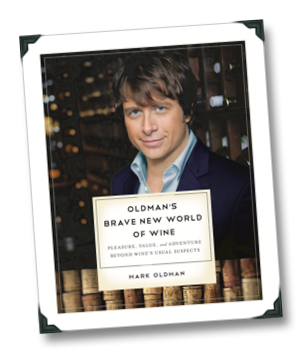 Mark has a new book on the shelves (I received a review copy) – Oldman’s Brave New World of Wine – and it’s geared towards the Intermediate stage of one’s vinous journey. 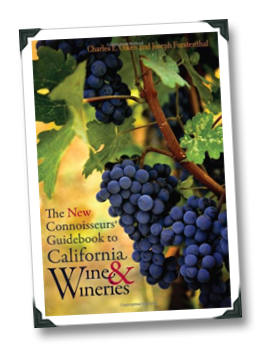 In the pages of Brave New World of Wine, Mark offers up wine recommendations slightly off the beaten path, meant to expand your wine knowledge and delight without expending your bank account. 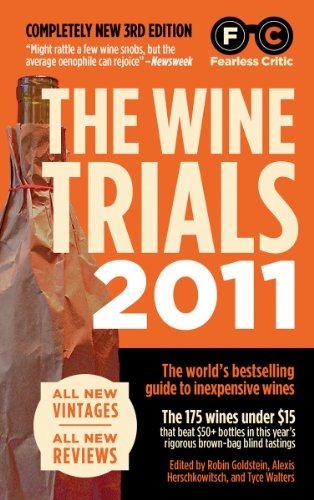 For the most part, the new book is another stellar achievement for Mark, and more often than not I found myself nodding along with his recommendations and witty-but-wise takes on lesser-known varieties (turns out we’re both nuts for Nero d’Avola, ravenous for Rosé, and on a tear for Torrontés). 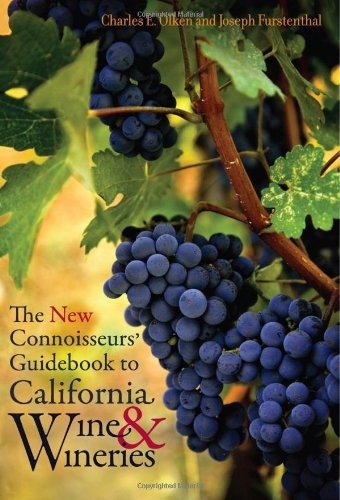 Mark took some time out of his busy book tour schedule to answer a few questions about his new book, the next season of The Winemakers, and how he got started inthe wine biz. Turns out that Mark also shares my affinity for the music of a certain long-standing Canadian power rock trio (as if I needed more reasons to like the guy at this point).